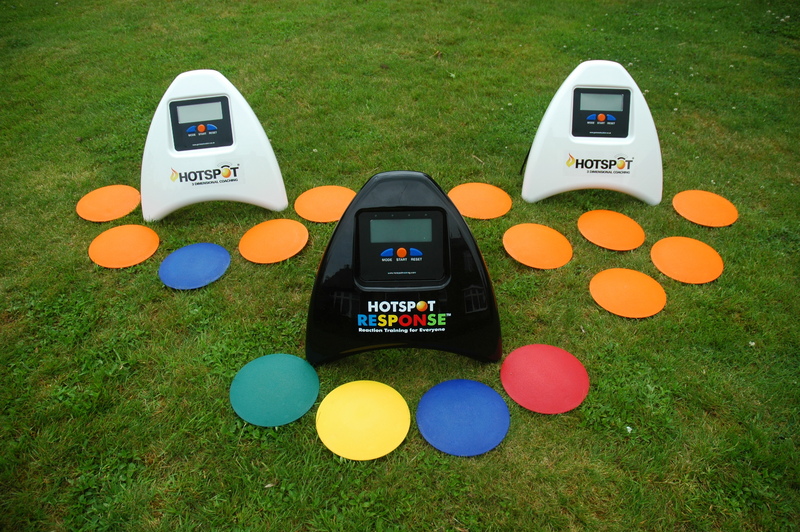 HOTSPOT® training systems are MUST HAVE training aids that allow you to get the best out of your players and yourself. Providing immediate feedback the Hotspot range can be used to train movement patterns, target fitness and add in the element of reaction with the new “React and Act Response system. 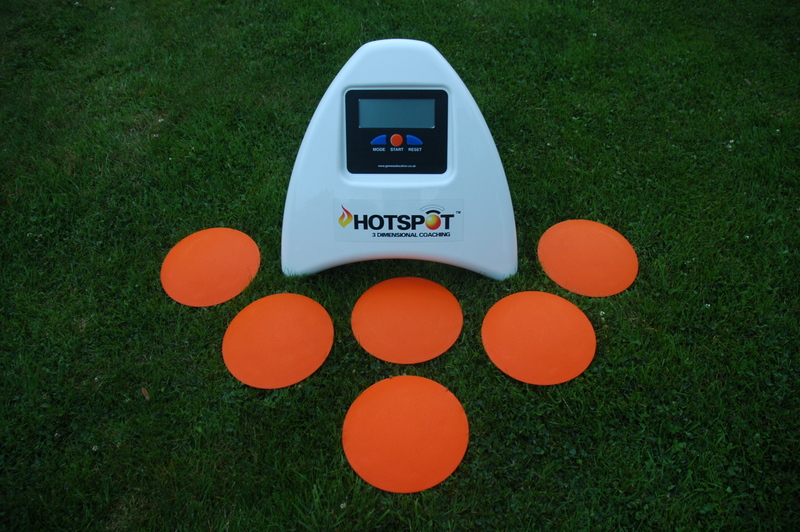 We have helped leading Clubs, Associations, individual players, sportsmen and women and coaching staff to develop and achieve more by using the HOTSPOT®range of products. Our tried and tested systems bring powerful results in a totally transparent and monitorable way, and the very modest investment required will pay dividends many times over within a very short period of time. Whatever your current level, improve at accelerated rates using HOTSPOT® products! HOW DOES IT WORK? The system comprises a base station for display and wireless touch sensitive discs that can be laid out in any pattern or configuration. As the athlete moves between the spots this is registered by the base, giving you times to 100th sec and scores for spots accurately hit. WHY SHOULD I USE IT? The data collected from the HotSpot® training system has meaning and relevance and will compliment any coaching methodology and ethos. Make training more enjoyable, monitor performance with immediate feedback and set targets. Training just got a whole lot more fun and more productive! HOW MANY HOTSPOTS® AND BASES CAN BE USED? You can use any number of HotSpots® on a single base and in any given arena there can be up to 15 Base Stations communicating on 15 individual channels. 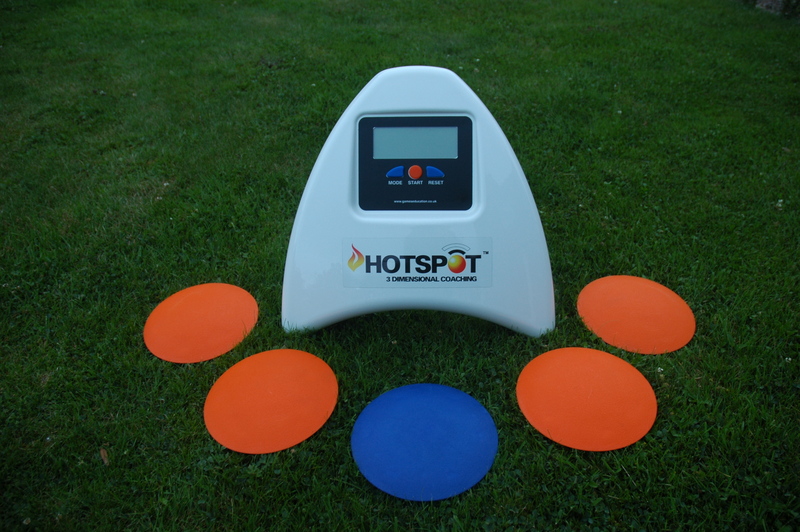 The HotSpot® training system is flexible in nature and allows data capture to occur across all sports in infinite activities. The products capabilities are as good as the imagination and creativity of the coach and also the athlete. Click here to see videos of drills you can measure with Hotspot. Standard time and count modes with additional split timing function. Use for agility coaching, individual movement analysis, team events. The ultimate system combining all features of XL (but with 4 spots) plus a dedicated test pod for vertical jump height testing. As purchased by: Blackburn Rovers FC, Chelsea FC, 1899 Hoffenheim, KSV Stuttgart, Brugge FC, The LTA, England Squash and Racketball, England Cricket, Sussex Cricket, Leeds Met University, University of Nottingham, GB Sitting Volleyball. Reaction training for everyone. No more expensive systems with fixed points – create the pattern you want with the wireless spots, make it different every time and takes only seconds to set up. Bring the proven world of reaction training to your coaching session. 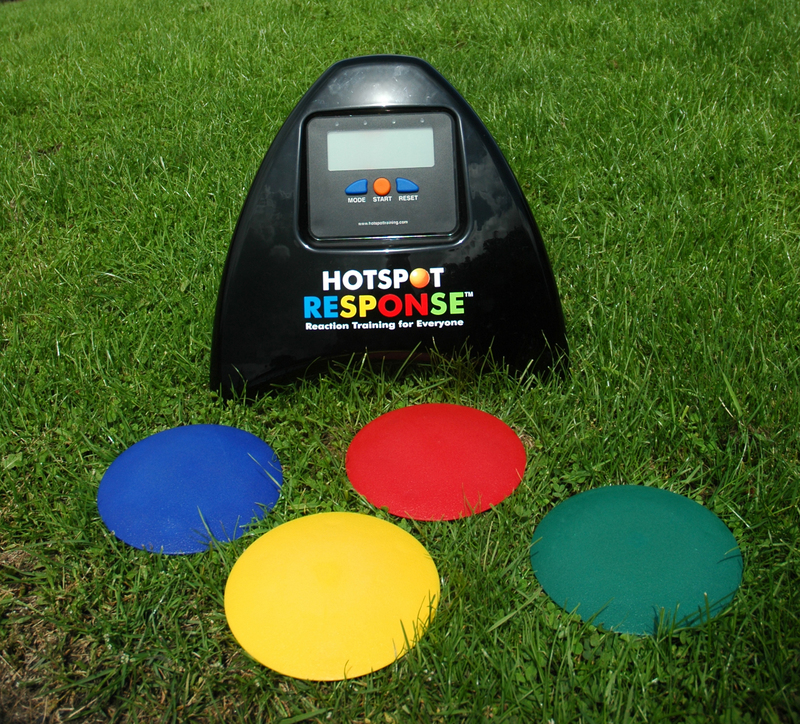 Built around the internationally successful HotSpot® Training System, the Response™ has individual coloured spots that correspond to LEDs on the base. See the light and go to the matching spot on the ground – simple! 1. Time test – how many spots can you hit in the time? 3. Memory test – remember the sequence then go for it. Click Hotspot Training Website for more details! I offer 1-2 hour workshops on the training philosophy behind the Hotspot System and the general approach. We offer a individual training service where required. We will spend time with you designing a program for you and your needs following a complete assessment. We will return after and agreed period of time to check on your progress. The investment in this service puts the power back into your hands. Hotspot is your friend and the results are yours to get. Take the power back and make it count with Hotspot. Oh..and save masses of money! please contact fraser at sales@hotspottraining.com many thanks!